When you are working on a modern design project, futuristic fonts will help you to get your message across. This means understanding the design you are working on as well as the audience you will be appealing to. This article has put together a range of different tech fonts, space fonts and even sci-fi fonts for you to choose from. Neuron is a very soft and approachable sacred geometry font which will draw your viewers into your site. This is one of the best futuristic fonts for achieving a celestial aesthetic for your designs. You can download this font free with extended characters, italics, and ligatures. It definitely makes one of the best futuristic fonts for your modern design projects. Nidus Sans is one of the more conservative futuristic fonts, making it a great choice for professional designs.This font reads well for both headers and small amounts of copy text. If you want to create a futuristic aesthetic yet want to keep your designs professional and understated, this is a great choice for you. Electro is a beautiful and very expressive futuristic font which has both an elegant and an edgy appeal. This font will create a bold aesthetic. You can download a free version (without punctuation or language support) to use in your futuristic poster, logo or website designs. 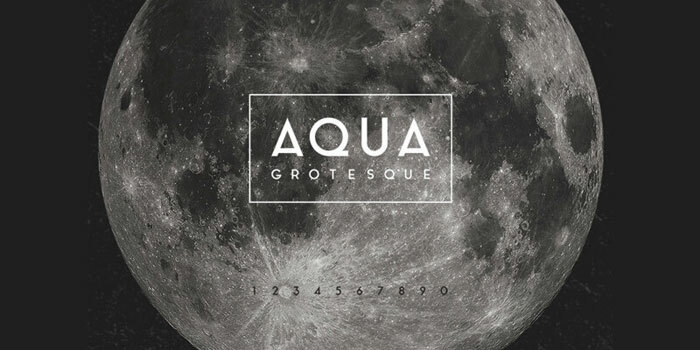 Aqua Grotesque is an angular style retro futuristic font influenced by 1940’s style lettering and design. 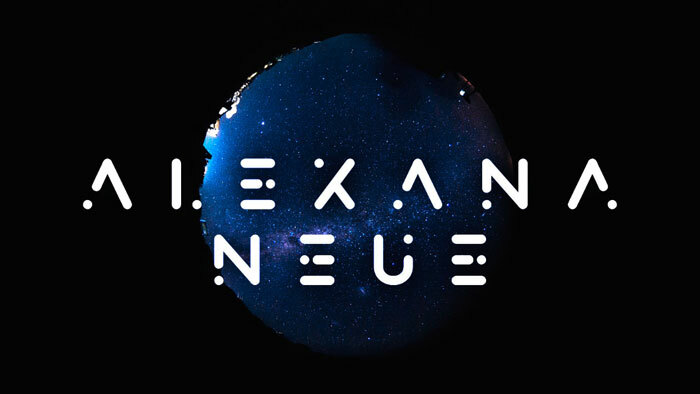 Use this font to create an elegant futuristic style. It is highly legible and can be used for both display and medium chunks of copy text. 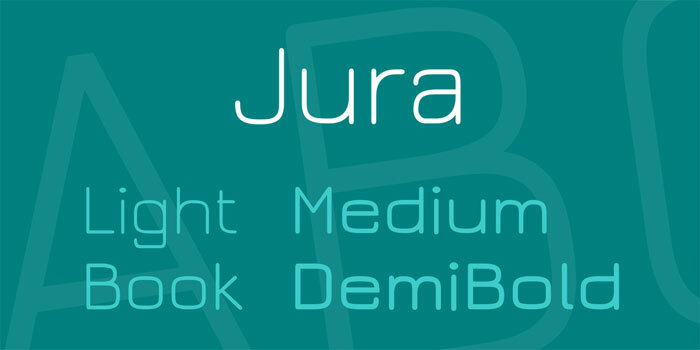 Jura is a square shaped font inspired by Kayah Li glyphs. Although it is a great font for futuristic designs, it also has a vintage appeal. It includes Greek and Cyrillic letters. If you want to add an element of history to your futuristic designs, Jura will be one of the best futuristic fonts for your designs. Voltaire is inspired by 20th century Swedish poster designs and is a retro futuristic font which will make great headers. Use it for your futuristic poster designs. 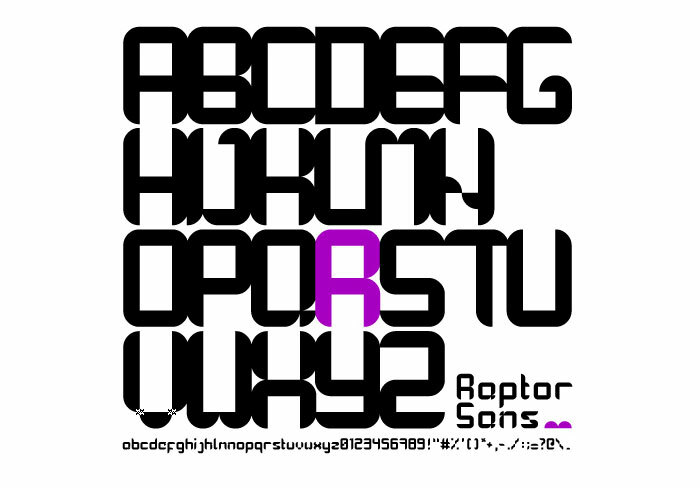 I really dig Raptor Sans is simple yet strong retro futuristic font which will add a bold statement to your futuristic designs. As one of the best futuristic fonts to add a touch of retro to your futuristic designs, you can use this font for book covers, posters and modern websites. Panos Voulgaris, the font’s creator used it to redesign book covers from the 70s. This is certainly one of the ultra fonts when it comes to visual appeal. Are you looking for a geometric yet rounded futuristic font? If so, Controller will give you an organic yet high tech appearance. This font comes in five different weights and alternate letter forms. Futuristic fonts have simplicity at their core. This is very true for Concord, which is a part of an already successful font family called ‘Accord Alternate’. This font is geometric yet elegant in design. 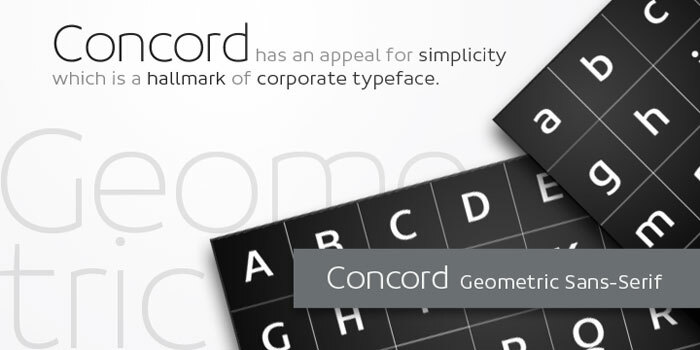 Concord is easy to read and comes in 7 different weights to add emphasis to your modern and futuristic designs. 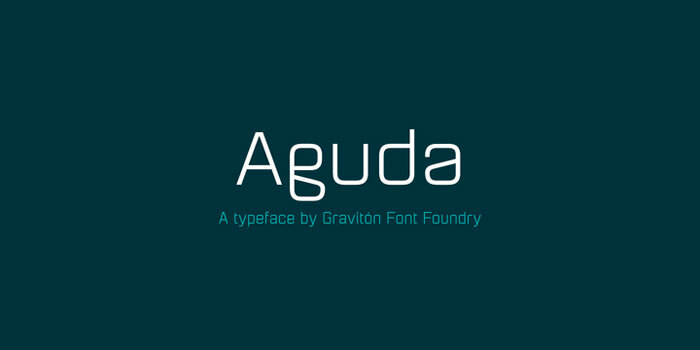 Aguda is a geometric future font which was designed by Pablo Balcells during 2014. This font was designed as a display style font to give a high tech appearance to modern designs. However, it is very easy to read and therefore suitable for short or medium length copy. 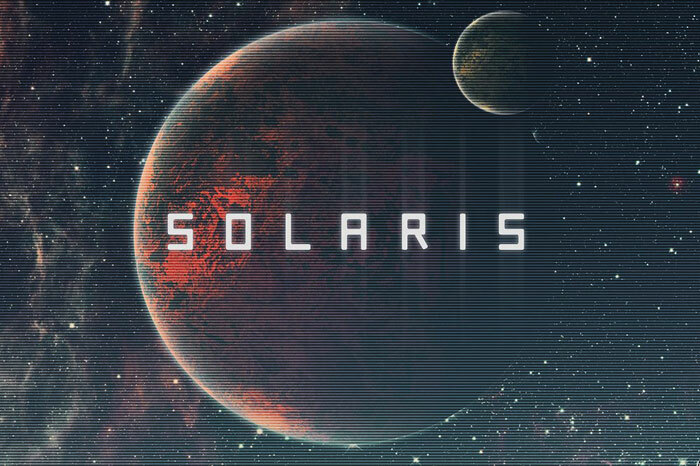 Solaris is one of the more popular futuristic fonts. It is strong and bold in appearance and gives a high tech appearance which would suit the latest technological developments. It comes with alternate letter options, numbers and punctuation. 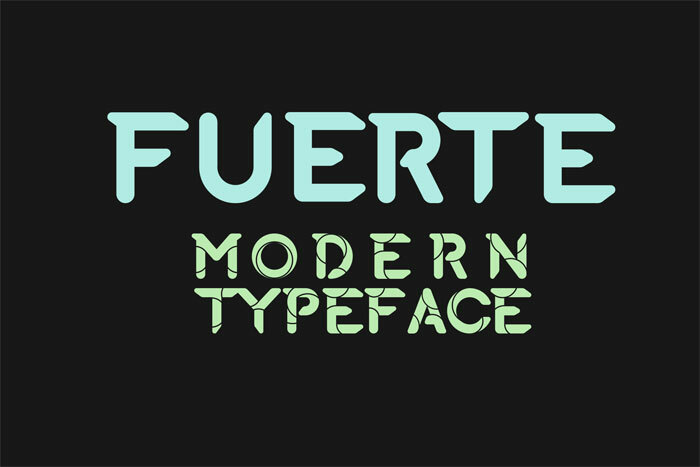 Fuerte is a great sci fi font which comes with both plain and patterned letter forms. Designed by Manh Nguyen, it has a futuristic feel which will add depth to your graphic design projects. 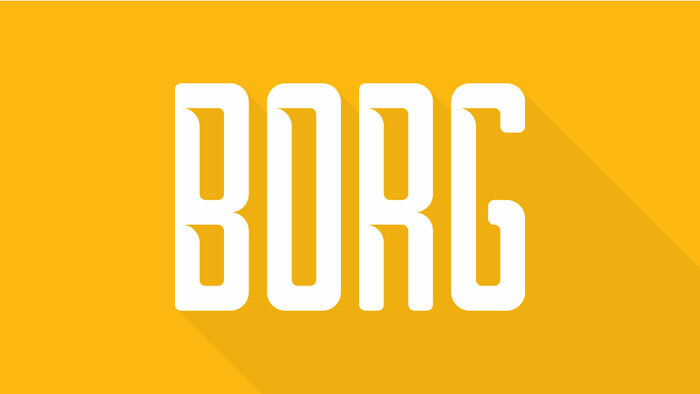 Borg is a free futuristic font which has a high tech appeal. The letters are clean and simple, and can be used to create a futuristic logo, a heading or even a t-shirt design. 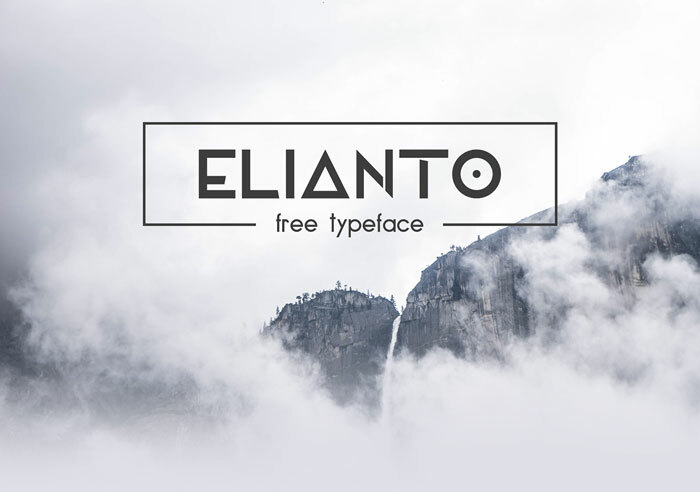 Elianto is one of the most beautiful futuristic fonts available. It has a geometric style with a gorgeous triangle. You can use this font in both upper and lowercase lettering to create modern designs with high impact appeal. Futuristic fonts look great in headlines, quotes, science fiction sites and modern website designs. This font has a simple and very minimalist feel which will give it a clean lined and simple appeal. It is both sharp but organic in style, creating a simple yet warm and friendly design. Scifi fonts look great when it comes to technical designs. They appear to be very strong and appealing. Industry has a vintage industrial appeal. It makes a great choice for headlines and logos. However, because it is legible, it is also great for short paragraphs too. You can choose from eight different weights in this font family. You can also use Italics to create an interesting element to your designs. You can use a stylized companion when working with this great text. 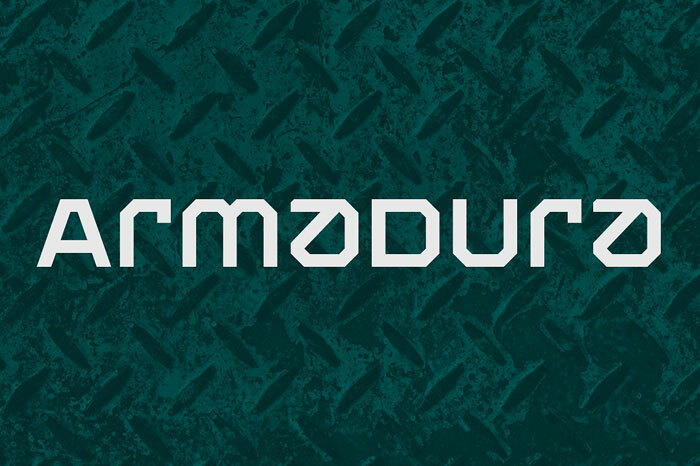 Armadura is one of the cutting- edge geometric typefaces which provide an angular expression to your futuristic designs. Use this technology font for all your modern or high tech graphics. If you love the cyborg world and the impact a great font will make to your world, Robodron will make a great choice. 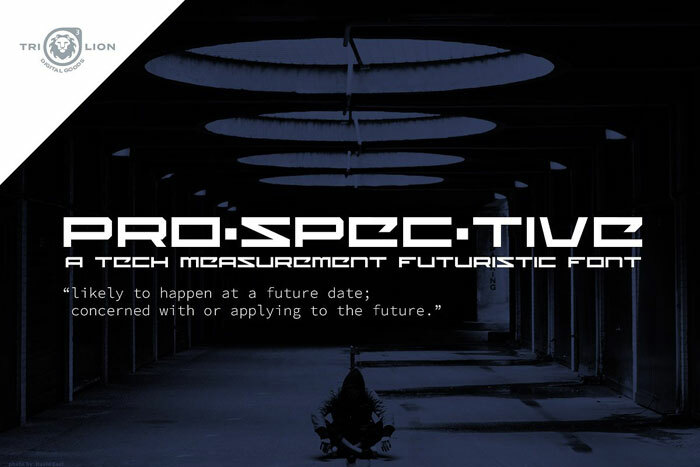 With its edgy yet smooth look, this futurist font will create a high tech appeal. This is a cool font alphabet for a modern site. Create outstanding headings or bold texts to add to your high tech designs. 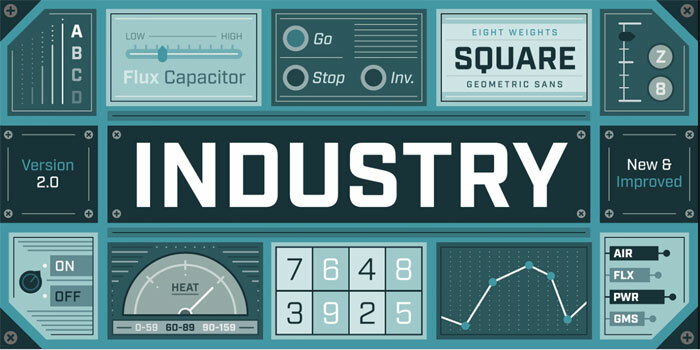 If you are looking for sci-fi fonts with great geometric lines, you will love Eund. This font has gentle curves and bold rectangles which combine to create a highly legible font. Eund can be used for sites with a large amount of information, and it is a futurist font which comes with a great many options too. With 500 characters and 5 number variations, you will be able to create stunning futuristic designs to wow your viewers. 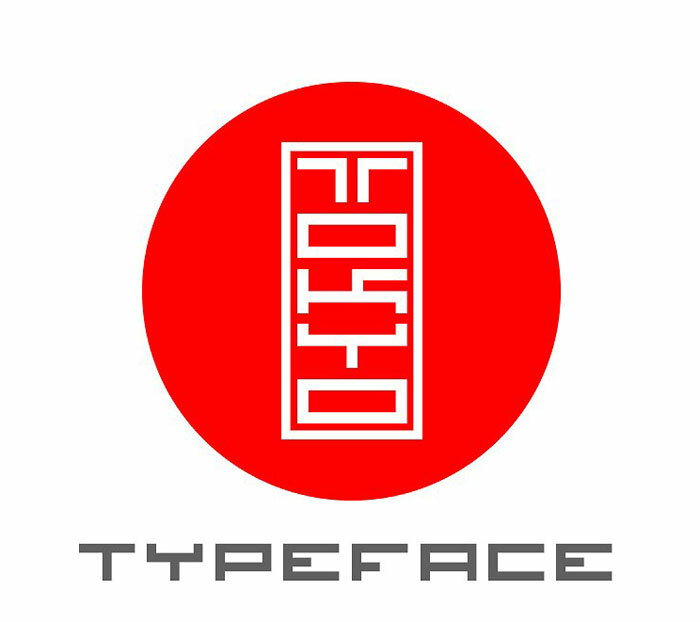 Tokyo is a Japonism futuristic font which enables you to create designs which have a Japanese appearance. You can also use Inkan – Seals in paperwork, art, contracts or any other items which would normally require a personal signature. Inkan – Seals replace the need for a signature as a sign of agreement or authorship. You can use both upper and lowercase letters while working within this typeface. While the uppercase letters may appear slightly wider than those in the lowercase, they will still work well together as futuristic fonts for your modern design projects. So if you have wanted to create a modern project using eastern lettering, but haven’t known how to write it, the option is now open to you. And it appears as fresh and beautiful as the original design. Luengo is one of the most popular technology fonts to use in futuristic design projects. It has rounded corners for a soft and approachable feel, and an elegant sophistication which helps it to stand out from the crowd. You can use this cool font alphabet for both headings and copy. It also makes a great choice for a futuristic logo, packaging designs and editorial content. You will be able to download a full European set of characters with alternatives when you choose this royalty free font. 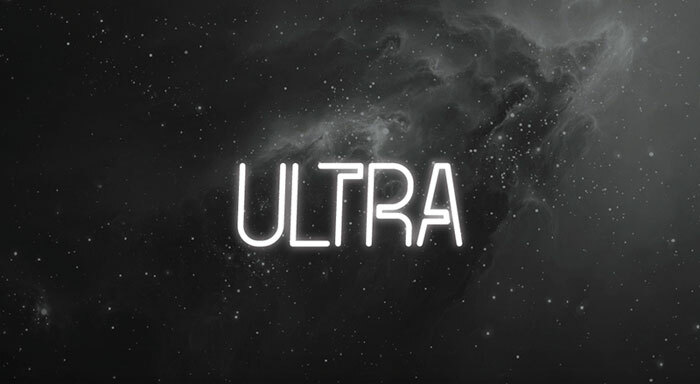 Ultra is a technology font inspired by bright lights. You can use it in your commercial designs to show movement. Fully editable, it is one of the fast looking fonts which will give your designs a dynamic impact. For top results, follow the suggestion of designer Fabien Korn, who explains that when used in multiple colours, Ultra will create that cool neon glow which will take your designs straight into outer space. Expect awesome results with this cool font alphabet. Are you looking for an elegant outer space font which will make a great choice for your displays? 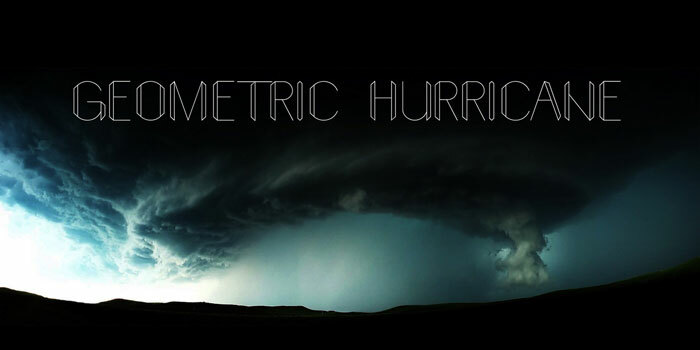 Geometric Hurricane makes an excellent technology font. Design System is a great collection of 70’s fonts which range from simple square designs to wide high tech fonts. 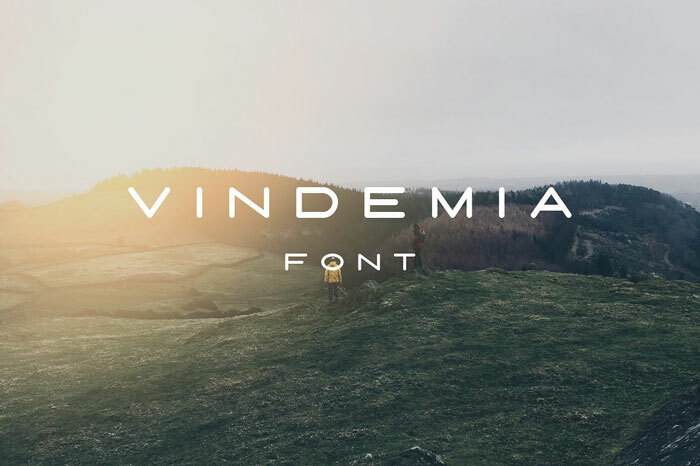 You’ll love the simplicity of this font set, as well as the way these future fonts add creative impact to your designs. You will also be able to combine these high tech fonts as they combine well when mixed together. Polly is a clean looking technology font which is strong enough to hold its own, while other elements in your design move into the forefront. 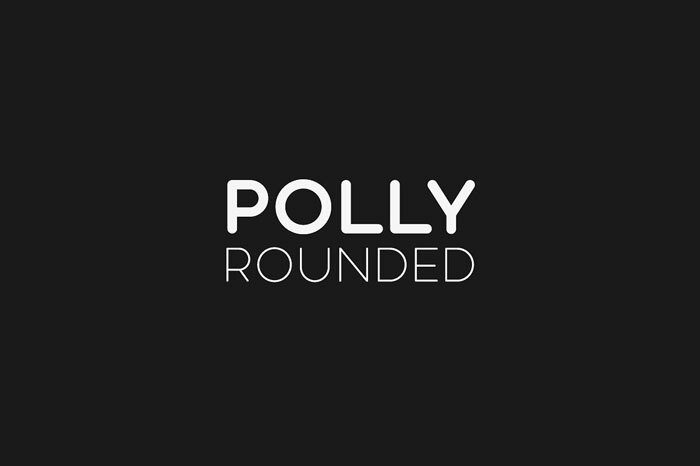 Use Polly to show off your great designs, striking images or awesome videos. 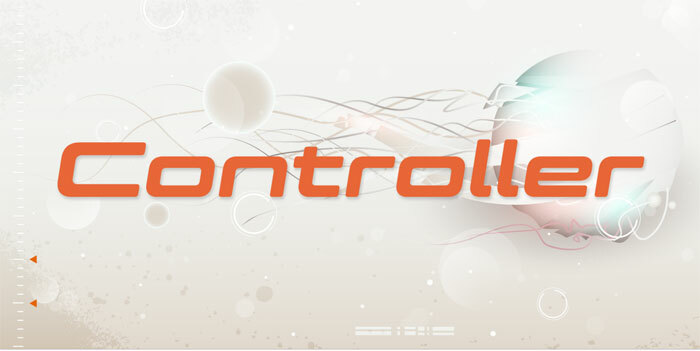 This futuristic style font will set the scene for a great site. Etheriq is a great sci fi font which will stand out amongst the alien fonts in your collection. Each character is both minimalist and highly sophisticated. 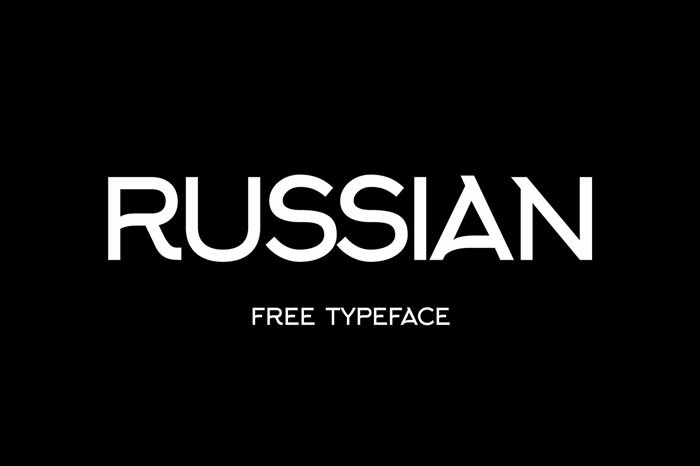 If you’re working on site for high tech designs, fashion or architecture, this is an excellent font to use. Futuristic fonts make great choices for contemporary designs and Abrade is no different. This future font is geometric and has a medium height, which makes it very easy to read. Many high tech fonts are great for onscreen designs, but Abrade is a great print choice as well. You can use this great font for branding and logo designs, digital websites, print designs and advertising. 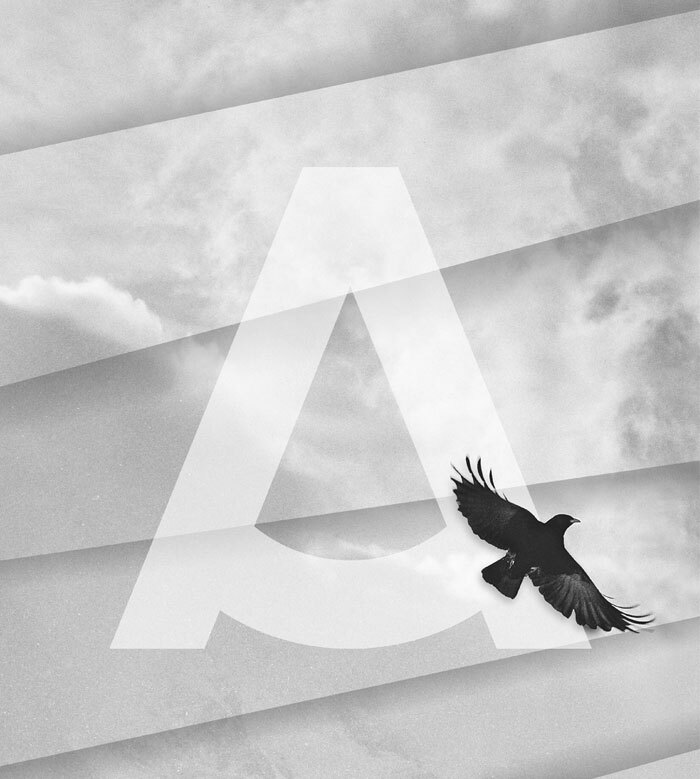 Ailerons is a future font which will give your designs a clean and elegant aesthetic. Letters are tall and graceful and each glyph in this technology font is made up of strikingly beautiful details. 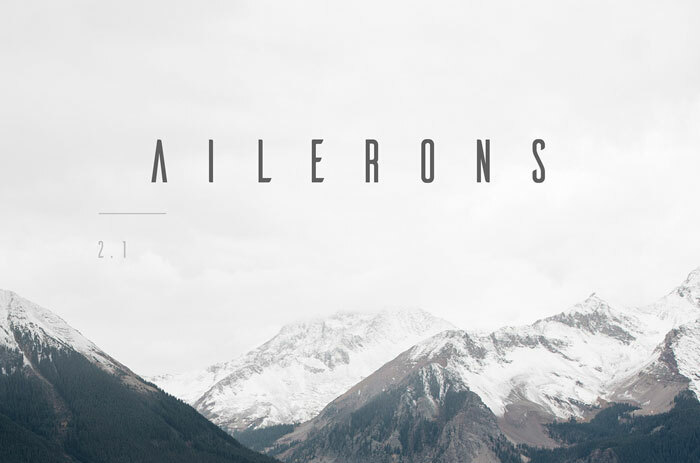 Let the Ailerons font add style to your modern websites or designs. 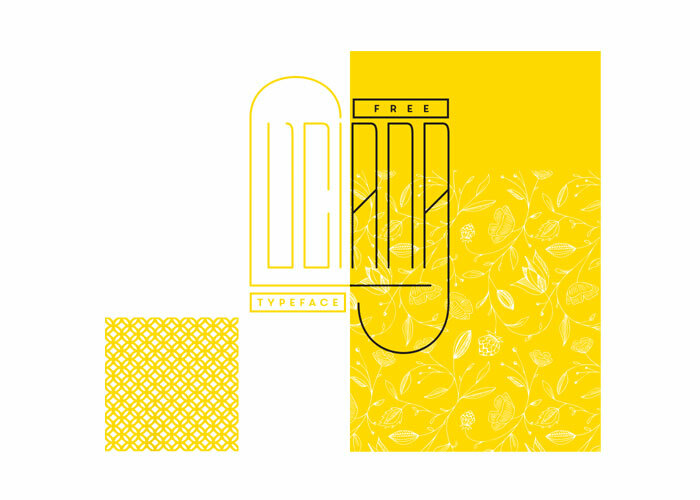 Are you working on a modern styled posters or designs? If so, you will love high tech fonts like Beyno. This quirky future font will add instant style to your posters and graphic design projects. You can use it in headers and its high legibility means it makes a great copy font too. Beyno font has such quirky glyphs that it will make an outstanding contribution to your website. This cool font alphabet can stand alone, creating a strong presence which will enhance your designs. Morebi Rounded is a great electronic font with a neutral appearance, making it a highly flexible font for all modern websites and designs. This is one of the best futuristic fonts for websites, print and packaging. You can also use it in copy as it is highly legible. From technology to the food industry, this is a font which will add a dynamic appeal to your projects. This futuristic body font comes in six different weights, each with italics. You can use both upright and italics to add to your futuristic style designs. Stella is an endearing hi tech font which is extremely versatile. It is one of the most popular of the space themed fonts because it can be both space aged and extremely grounded, depending on how you work with it. Neptune is a funky set of futuristic letters which are both eye catching and expressive. You can also use these futuristic poster style letters for logo designs as well as for copy on a modern site design. UFO nest is one of the most playful space themed fonts. Inspired by the mysterious formation of crop circles, UFO nest is a very busy font. You can use this font for headings to grab your users’ attention. However, it won’t make a great copy font because it isn’t as legible as some of the more simple futuristic fonts. MTT Milano is a futuristic text which has been created from scratch. It has elegantly long ascendants and descendants, which add to its sophisticated appeal. This font offers a great futuristic look and can be used as a copy text as it is highly legible. However, it is even better when used in larger sizes as a display font. You will be able to choose from five different font weights with matching italics. The result you’ll have the choice of ten different fonts. This will give you create flexibility when working with futuristic styles and designs. FF Max is an outstanding hi – tech font which is also highly flexible. It has 18 different weights, and makes a great choice for futuristic logo design, branding and futuristic poster designs. You can also use it as a retro gaming font. You’ll get a range of capitals, alternate characters, fractions and subscript characters to add variety to all of your futuristic styles. Futuristic fonts were once highly popular when stenciled. 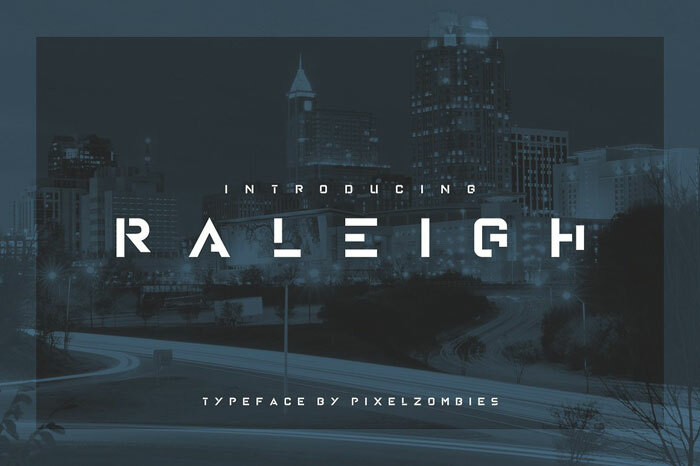 Raleigh brings back this retro look for futuristic styles. You will still get a cool astro font with a future forward appeal. However, the quirky stenciled design will add extra appeal to your futuristic look. 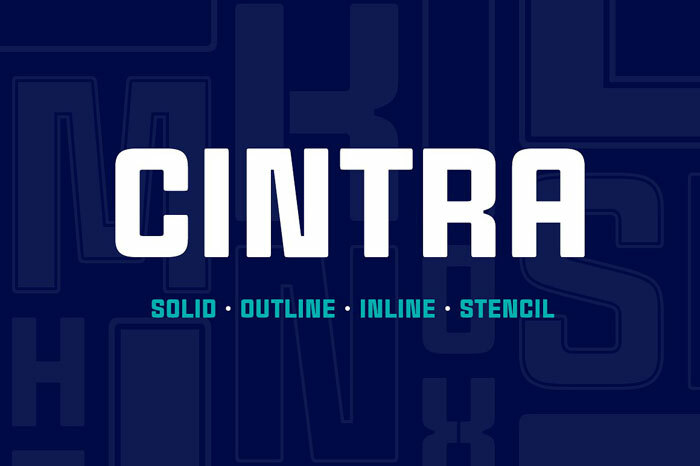 Cintra is one of the most flexible futuristic fonts you can use if you’d like to create a modern project design. It will work well with every element of your site, while still managing to stand out from the crowd. Gunnar is a geometry font which has a squared off appearance. This spaced themed font has a precise appearance, where straight lines, exact curves and angles join together to create a highly original astro font. This is one of those futuristic fonts which are highly flexible. Highly legible in a range of different sizes, it can be used as a futuristic text in a range of different design contexts. Reso will give a futuristic look to all of your logo designs and headers. You can even use it in as a short copy text as it is clean and easy to read. Simple and sophisticated, these futuristic letters will add elegance to your designs. Gabriel de Souza designed these futuristic fonts in 2012. Simple and very stylish, this futuristic text will enhance the appearance of your modern designs.It is a highly flexible font which comes with italics and obliques. You can use it to give a luxurious appearance to your futuristic designs, logos and trade mark creations. It will work particularly well as one of your bank fonts, or in the field of computers, technology, security, and networking and communication design. 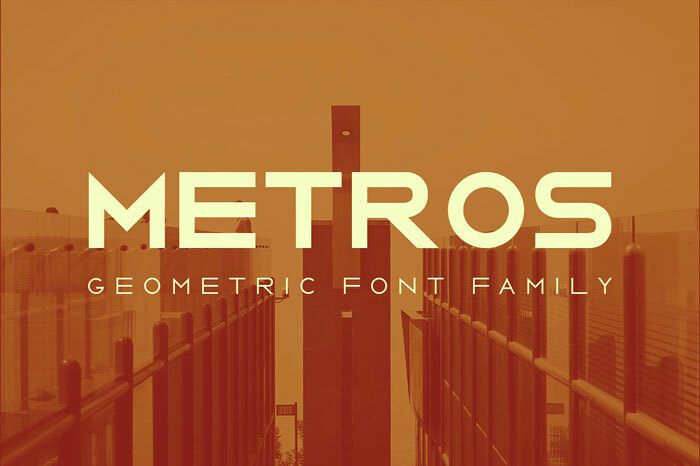 ‘Metros’ is a minimalist astro font which will give life to your modern website designs. You’ll get an entire family of futuristic fonts, providing you with an entire font family, giving you 6 different weights to create a flexible set of futuristic letters which you can use for all of your design goals. Prospective implies exploration, and this futuristic font will bring you a peek into the future. 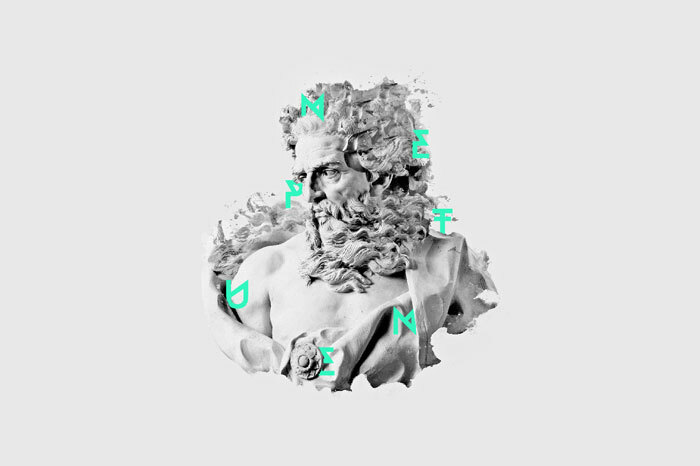 This is a geometric typeface with an edgy appeal. If you want your audience to probe into the future and you are searching for techy fonts for your graphic design projects, Prospective is for you! 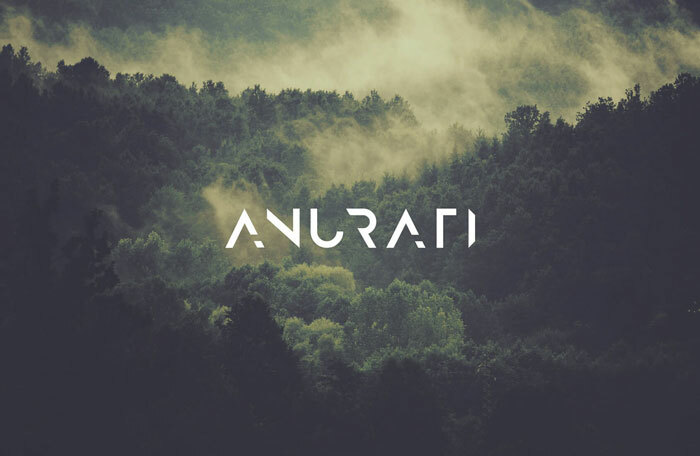 Anurati is a cool font alphabet which will add interest to all of your futuristic designs. Add this cool futuristic lettering to your modern site designs or use in colour blocks to create a space typeface with an eye on the future. Luciana is a very light form of futuristic lettering which gives an elegant, feminine and very dynamic appeal to your futuristic designs. 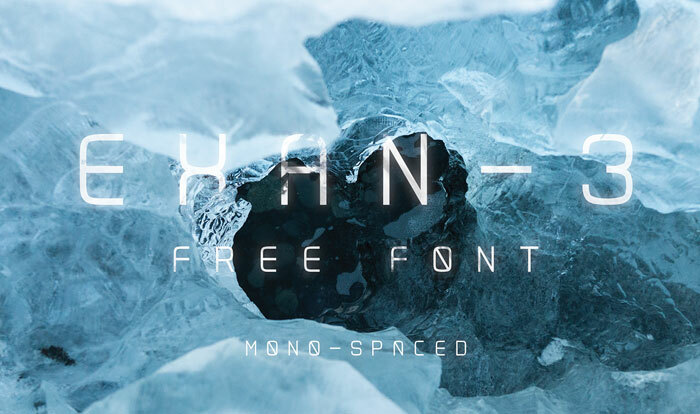 You can download this free futuristic font and edit it to suit your needs. It makes a nice font alphabet for posters, displays or monograms. 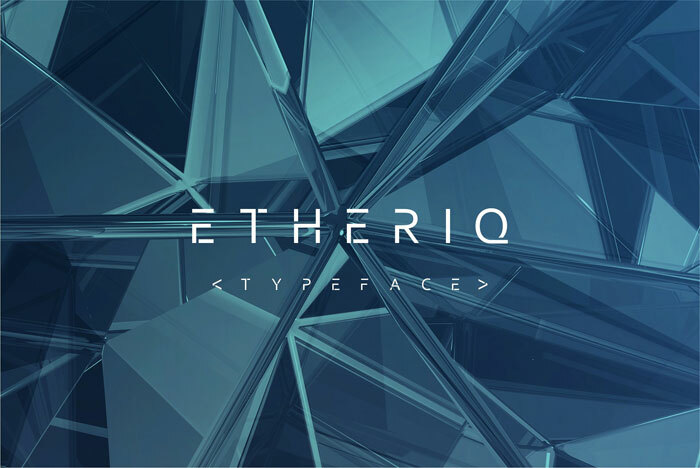 You can also use this futuristic font to create great logo designs. 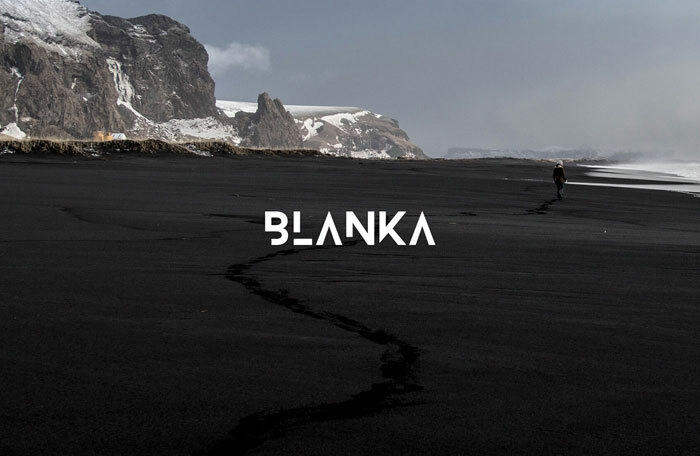 Blanka is a simple and very elegant cutting edge font which will present you with a gaze into the future. The letters are missing some of their futuristic lines, which give a playful yet striking effect. Use this stunning font for stunning headings and mix with other futuristic fonts to create designs which will thrill your viewers for years to come. 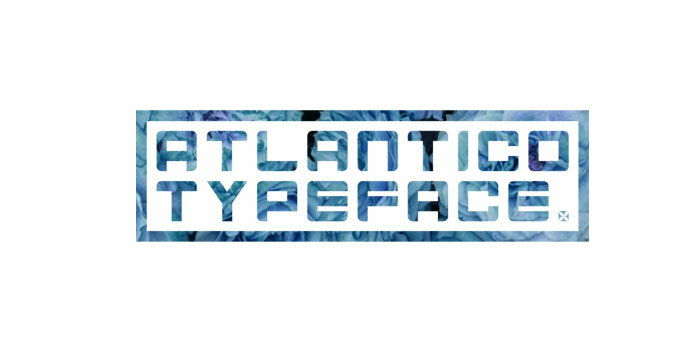 What could be more intriguing than a music festival font inspired by the great Atlantic Ocean? Atlantico is a futuristic type font which appears to belong on music posters. This font has strong and very bold futuristic lettering which have a geometric feel. If you are creating music posters with a futuristic theme, Atlantico is for you! AlexanaNeue is a set of geometric lettering which entices the user to participate in connecting the dots and shaping the lettering. Alexana is one of the futuristic fonts most suitable for bold headings. It may be difficult to read in smaller sizes, so is not suitable for small copy text. Elixia is a great choice to make out of cool mystical fonts when you want to create a futuristic design. It uses hexagons to create a dynamic aesthetic and has lower and upper case letters. Use it to create an awesome display text. 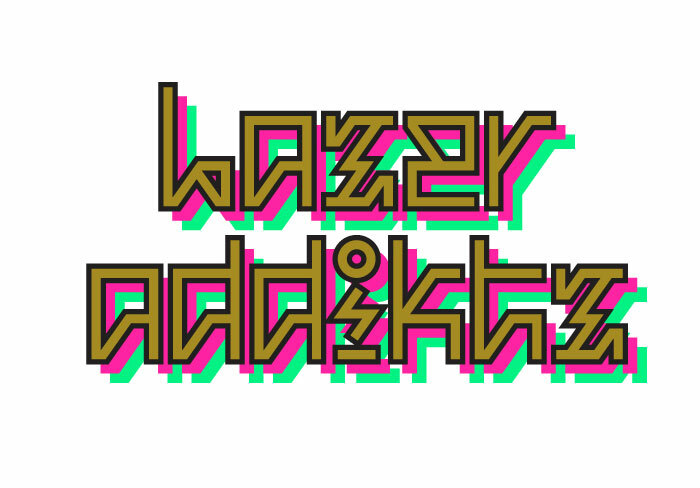 If you’d like to look at LazerzAdditkz as a cool futuristic style, you can check it out on Behance. You’ll also see it scatted throughout the internet in gifs and other cool images. Beams is a stunning futuristic font which combines rounded corners and edgy angles to create a bold, unique and eye-catching appeal. Draw your audience in with this excellent futuristic graphic design font. Do you absolutely adore futuristic fonts? If so, you will fall in love with Exan-3. This font has a futuristic style but a retro feel. You can use it on poster designs, cards, websites and all of your futuristic graphic design projects. Azedo is futuristic font with a unique and very interesting appeal. It has rounded crossbars and an exciting uppercase A. The font has an elegant style with a creative touch. 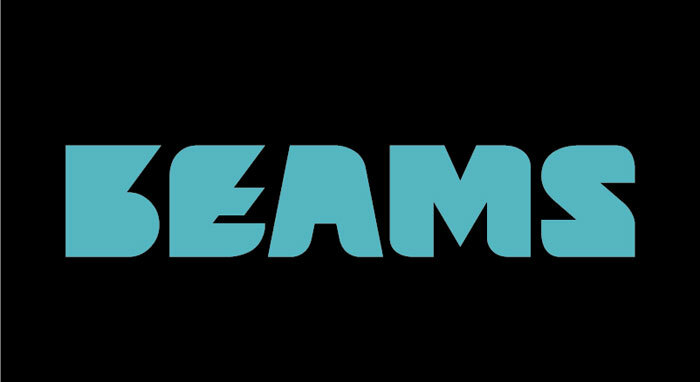 This is a great futuristic logo font. 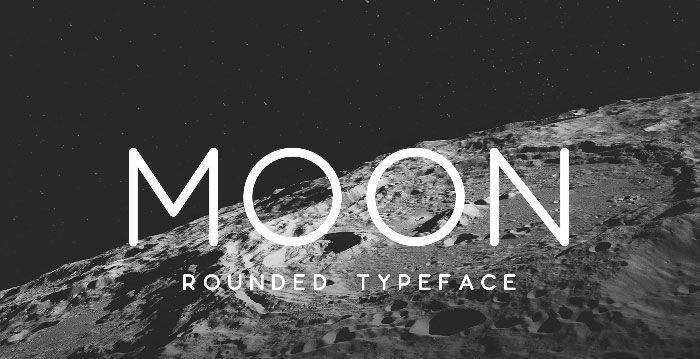 This rounded astro font created byJack Harvatthas a moon surface appeal and a circular design. 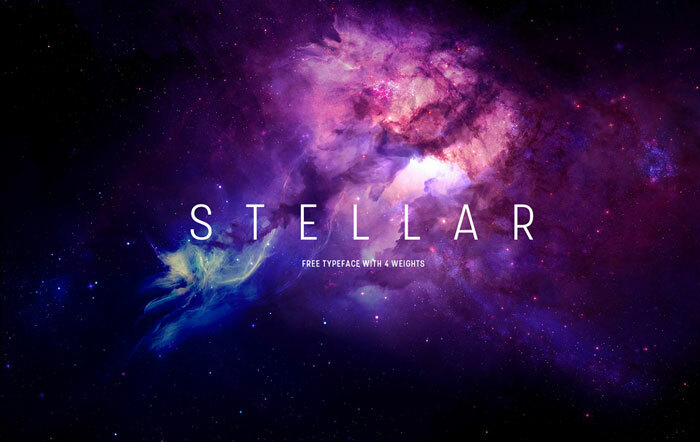 Combine space style images with this great astro font for designs which will appeal to the space explorer in all of us. Arkhip has wavy letters and strong movements which make it one of the best technology fonts for dynamic futuristic designs. 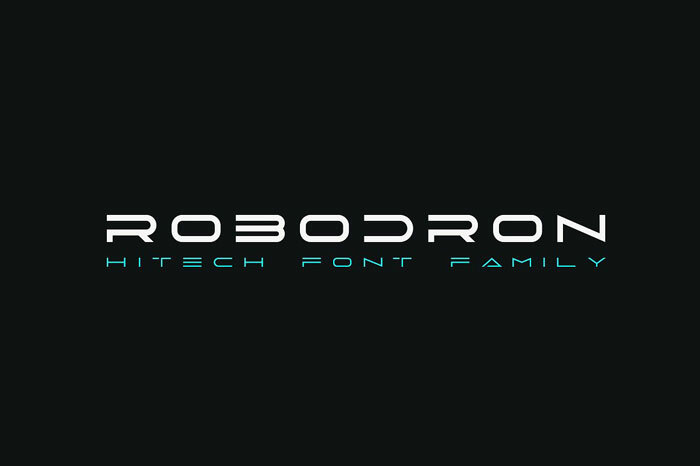 You can use this great font in a futuristic logo. It also makes a great body font as it is easy to read in all sizes. Dual is a set of futuristic fonts which is highly flexible. With more than 250 stylistic alternates you will be able to let your imagination run free to create astounding futuristic designs. Have a look at Behance to see how these future fonts have been used with alternate glyphs. Create a range of futuristic fonts for all of your logos, digital designs and posters. 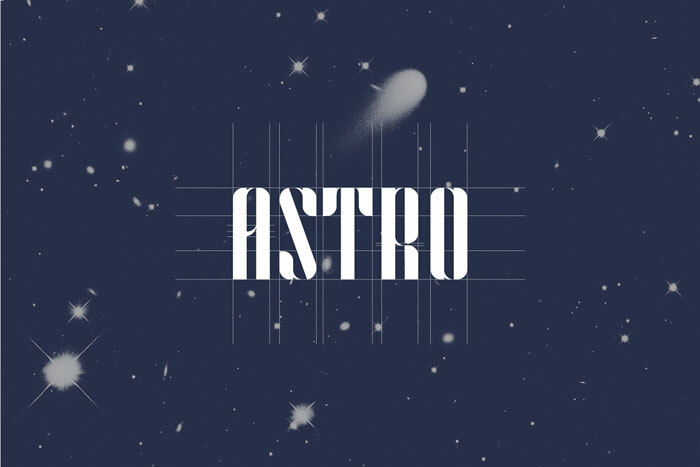 Astro has a scifi font appeal inspired by the stars and planets. It is one of the most beautiful choices amongst the space fonts and you can use it in both upper and lowercase to great gorgeous designs. 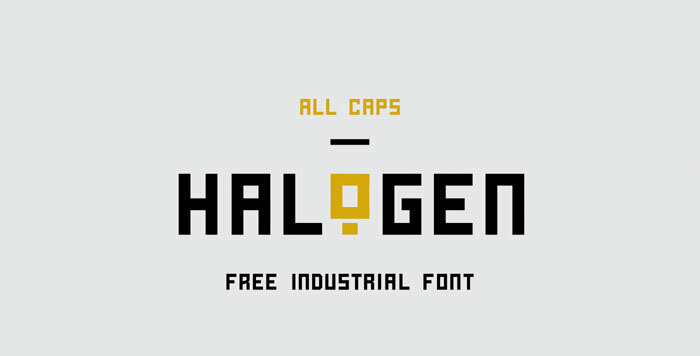 If you are looking for a strong and sturdy future font, you will love Halogen. It has a range of style alternatives to add a unique element to your logo. You will also be able to use this technology font for great poster or header designs. Marske draws on a retro style appeal as it is inspired by stencil designs. The effect is strong and bold as this futuristic font links together to form distinct letters. 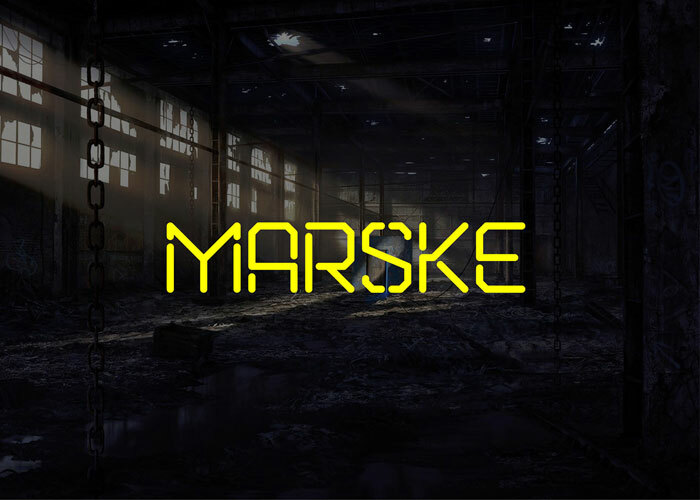 Marske is definitely one of the most creative futuristic fonts to use in your graphic designs. Vindemia is a clean and very simple sci fi font. Use it in all of your modern or futuristic design projects to create attractive and eye catching results. Although Vindemia is one of the stronger futuristic fonts, it is simple enough to pair with strong visuals and exciting illustrations. Use this high tech font for excellent results. 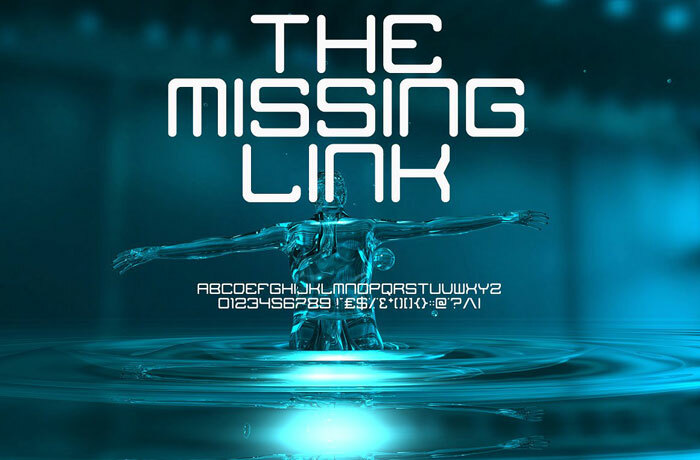 The Missing Link is a stunning futuristic font which will make a great impact on all of your futuristic design projects. Create a futuristic aesthetic which will enchant your audience. As an additional bonus, this is one of those rare futuristic fonts which is highly legible, and can be used not only as a header, but in body text as well. 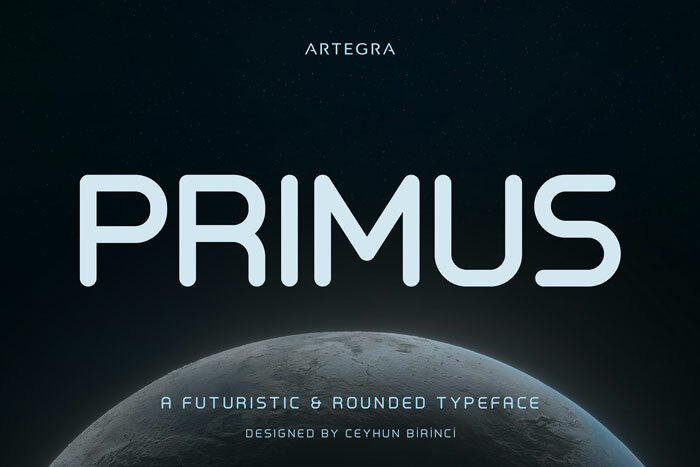 Primus is a clean, simple and easy to read futuristic font. It is curvy, friendly and highly legible. This makes it a great choice for every element of your designs, from headlines to copy. 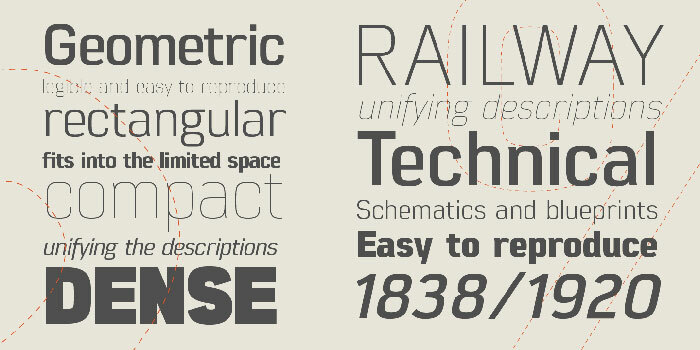 Primus is certainly one of the most attractive and friendly futuristic fonts available. 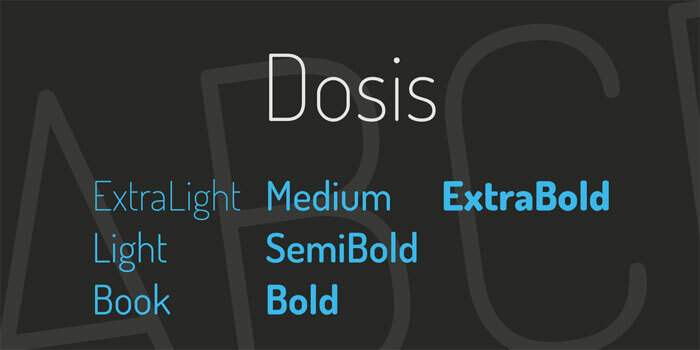 Dosis is a rounded technology font which will add a sophisticated and very clean look to your designs. Letters are elongated and available in various weights, adding a flexible touch to your designs. As one of the more playful futuristic fonts, the lighter weight will add a touch of fun to your designs. Alternatively, you can use a heavier weight to add strength and substance. Futuristic fonts will keep your designs high tech and modern. We hope you find a unique and creative choice in this gallery. 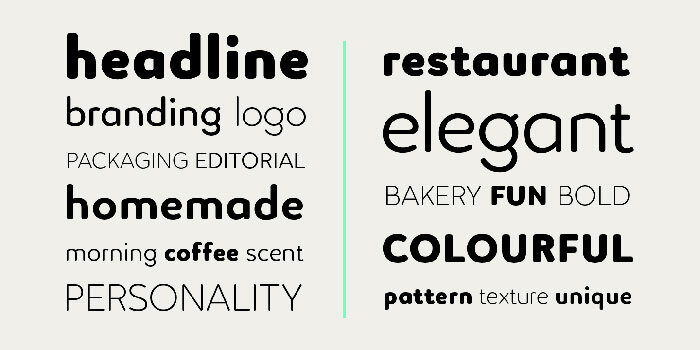 Explore the range of high tech fonts until you find just the look you need. Download and experiment with your favorites. Good luck with your futuristic designs! The post Download these futuristic fonts and create awesome typography designs appeared first on Design your way.